I'm not very patient. And I tend to be wildly impulsive. Both of these traits come into full swing when I hit the grocery store. I didn't have a plan for rhubarb when I saw it in the produce section, but I grabbed some without thinking. And that rhubarb just kind of poked around in the fridge for a while. I mean literally poked, because the stalks were too long for the crisper drawer so they lived on a shelf - poking us every time we went for the half and half. The only memory I have of eating rhubarb before my culinary life was on my uncle's maple farm in Vermont. When we'd visit we'd eat raspberries straight from the bush or we'd get a stalk of rhubarb and a little cup of sugar for dipping it into. I'd sit with my cousin's and gnaw on that tart, astringent stalk of rhubarb on a summer evening. 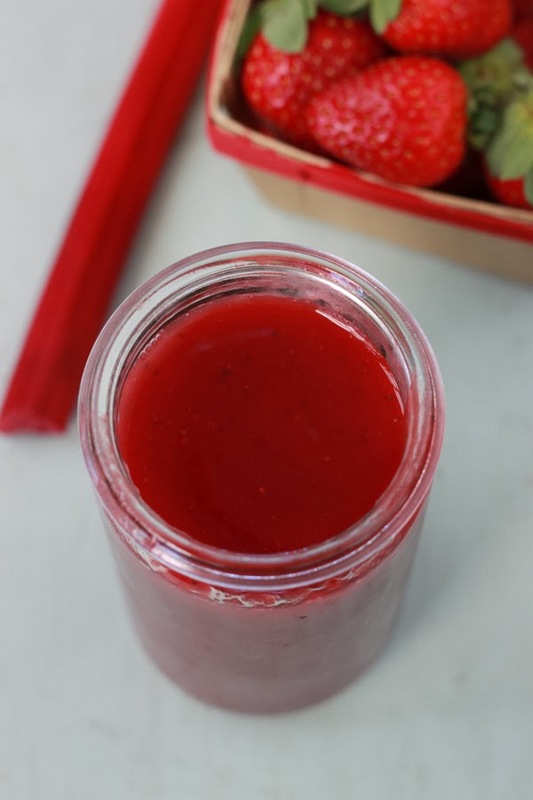 This jam came out of an over flow of both strawberries and lemon from another recipe I'm testing right now. And its literally one of those thrown together posts - I didn't even let the jam set properly before photographing it. Come back on Wednesday and I'll show you how to turn this into a tart sweet cocktail that you'll want to drink all spring long. Because that's what I do. 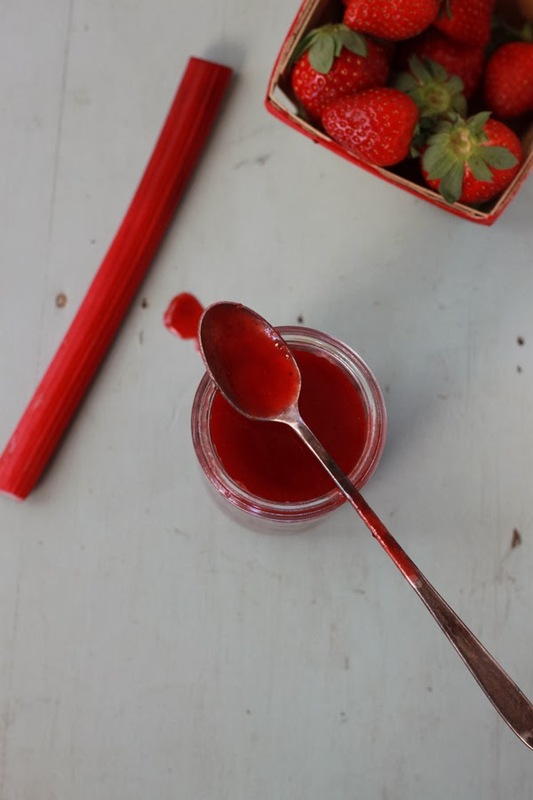 Combine the rhubarb, strawberries,sugar, and water in a medium-sized pot set over medium heat. 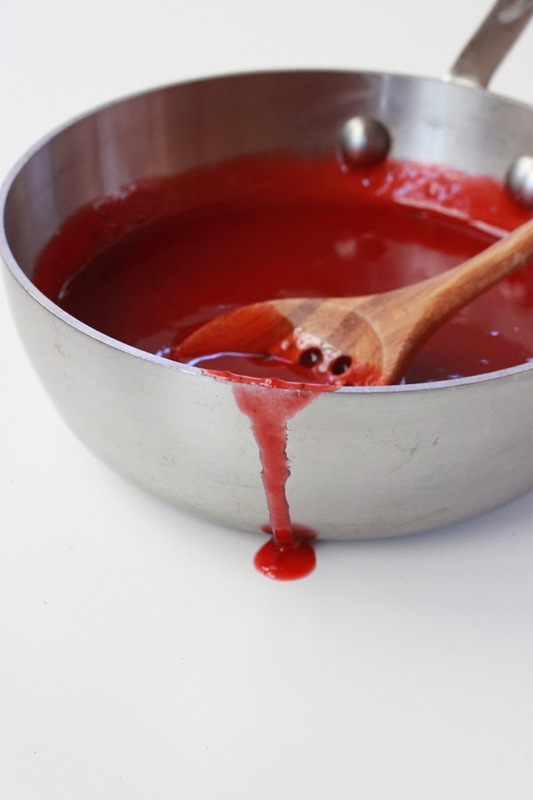 Cook, stirring often, until reduced by approximately half (check this by dipping a wooden spoon into the mixture and using the jam's 'stain' as a guide). Stir in lemon juice. Bring to a simmer and cook until a the mixture has thicken and a small dab sets immediately in the freezer (put a few plates in there before you start). Store in an air tight container in the fridge or freezer. I'm kind of ashamed to admit this, but I have no idea what rhubarb is...fruit? veggie? 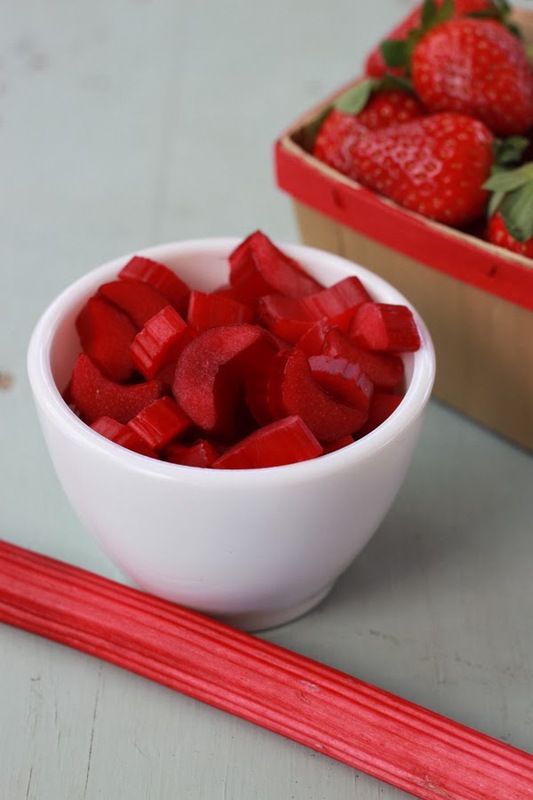 red celery? I cannot believe I am admitting this publicly. Great question! Botanically its a vegetable but in the US we consider it a fruit. It looks like celery in form, but can vary from greenish to deep red.